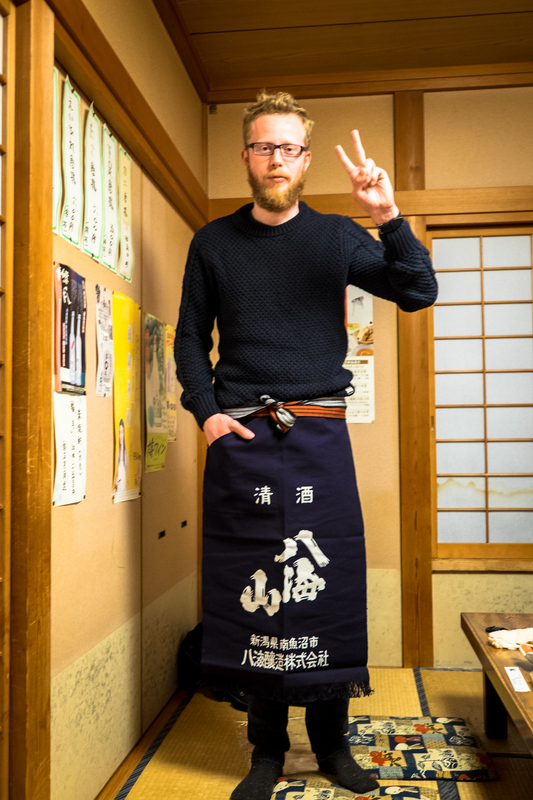 Japan | Lingue 많이 Sprechen. C'est とても Cool. I have to admit that last year I felt pretty lost in learning Japanese; however, this time things are really starting to click. Last year I was adamantly against learning any kanji because I thought it was such a big hurdle and wanted to focus on conversation instead of reading/writing. However, I started studying kanji again this past December, and now I really like it. The strange thing with kanji (the Chinese characters) is that there are multiple readings (pronunciations) for each character. For example, you can see a word written and not really know how to pronounce it, but since the kanji have meaning you can understand the meaning of the word. The opposite is true for English, if you see a word for the first time, you can pronounce it but have no idea what it means. Anyways, the point is you can’t really read much with just katakana and hiragana, so the veil of illiteracy is slowing coming off. And that’s a great thing. Small story: last year when travelling with James, we were discussing the personality type that tends to talk only about themselves and doesn’t ask questions about you – this was a pet peeve of James’ while I asserted that all you had to do was start talking about yourself without any inquiry. So James made the point that when you learn a language, the first thing you learn to say is how are you? In Japanese, you say genki? which means roughly are you lively? And indeed, this is the first thing you learn in Japanese. However, Japanese people almost never say this. You ask someone if they’re lively if you haven’t seen them in a long time, but it really isn’t a replacement for how are you? In fact, June-chan spent a good few minutes making fun of me for speaking like a Japanese textbook because I asked him everyday if he was genki. 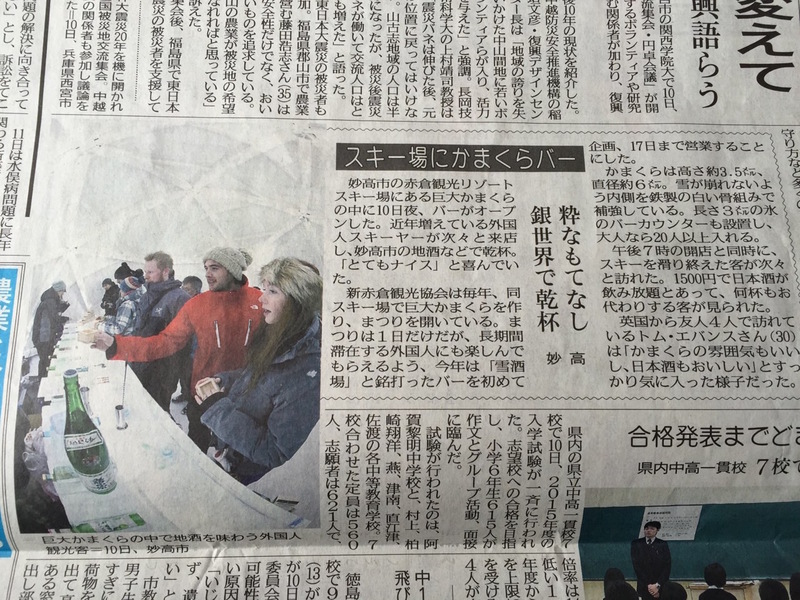 Anyways, up at the top is an ice sculpture of the characters 雪酒場 (snow alcohol place) and somehow I got into the local paper. 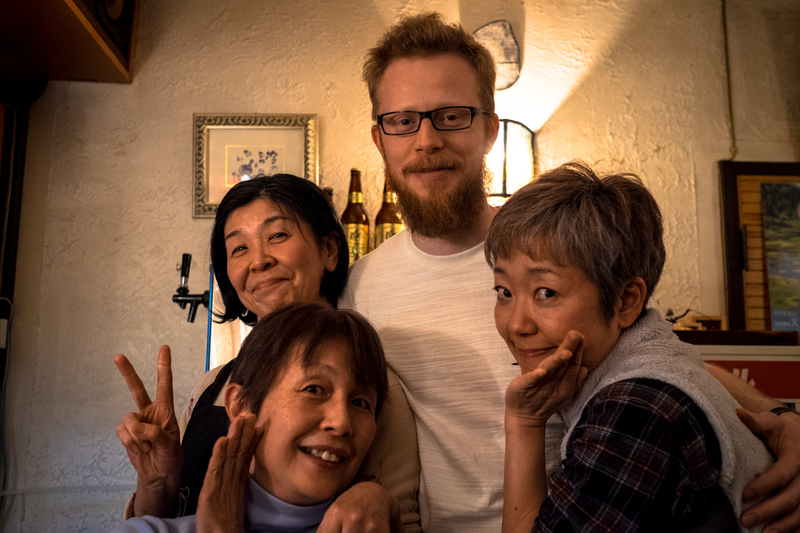 It’s been a year since I left Canada, so I’ve posted a video discussing what I’ve learned while studying German in Berlin, Germany; Japanese in Myoko Kogen, Japan; and Korean in Busan, South Korea. Feel free to leave a comment or share this post. 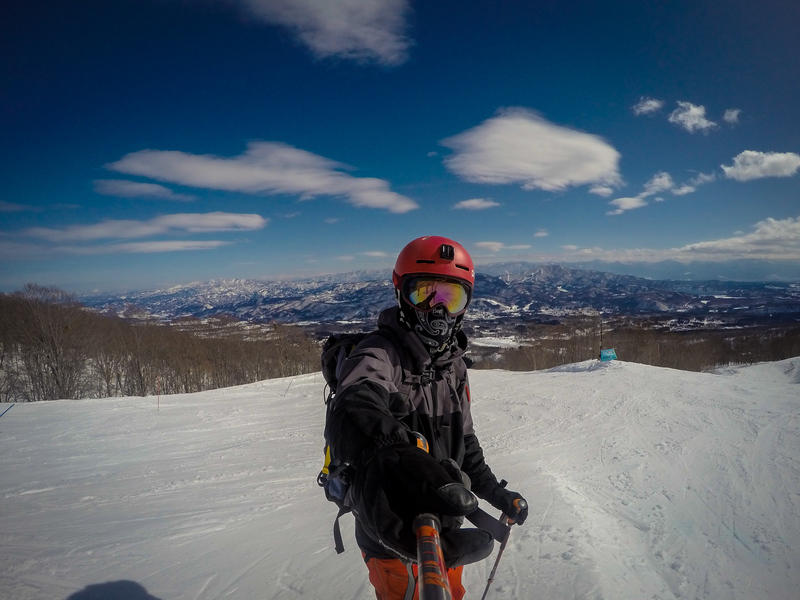 The life of a ski bum is kind of awesome, but combine ski-bum life with the best place in the world to travel (Japan! ), and you have a recipe for the best time of your life. 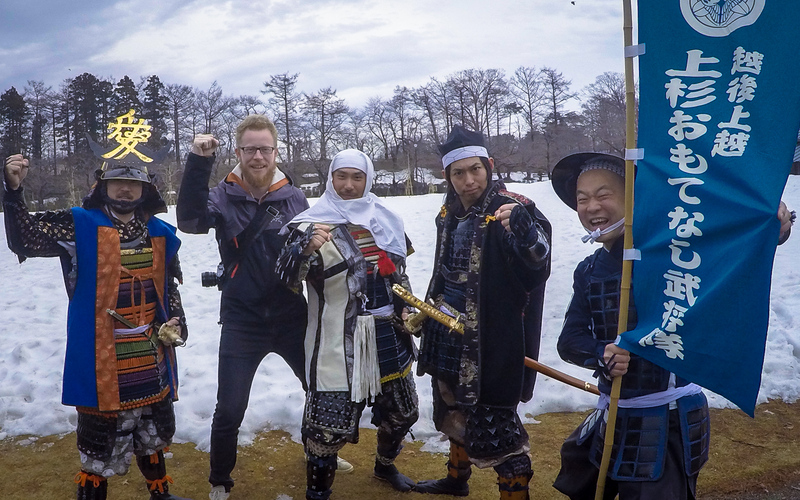 The past few months have not only been amazingly fun but also an extremely rewarding and unique travel experience. Apparently, I’ve been having so much fun, that I haven’t kept up with blogging, so here are the last 3 months in short-form. 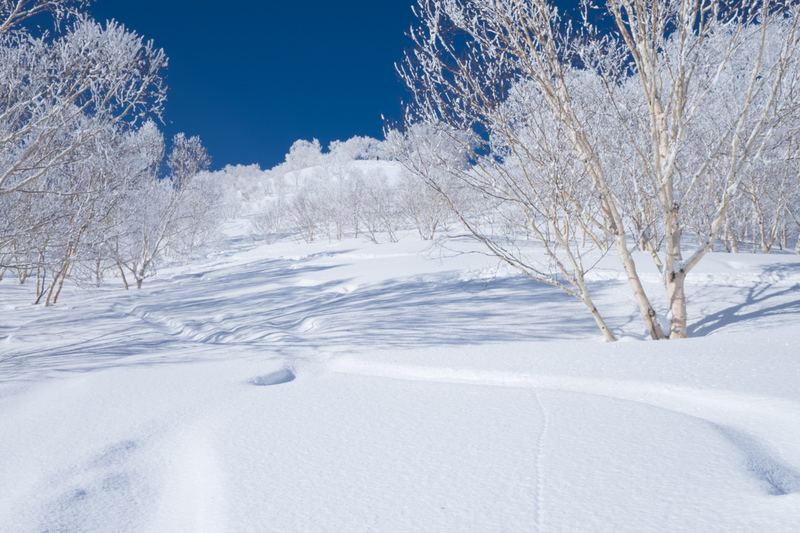 Myoko Kogen (妙高高原) is a set of about 6 ski resorts around the base of a dormant volcano, Mt Myoko. 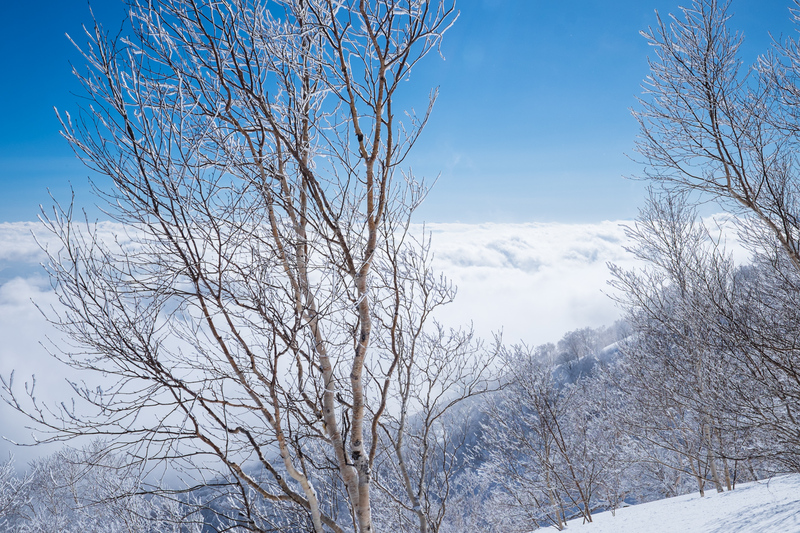 To get here you take a 40 minute train ride from Nagano city. I’ve been staying in the Shin-Akakura village in Myoko Kogen. 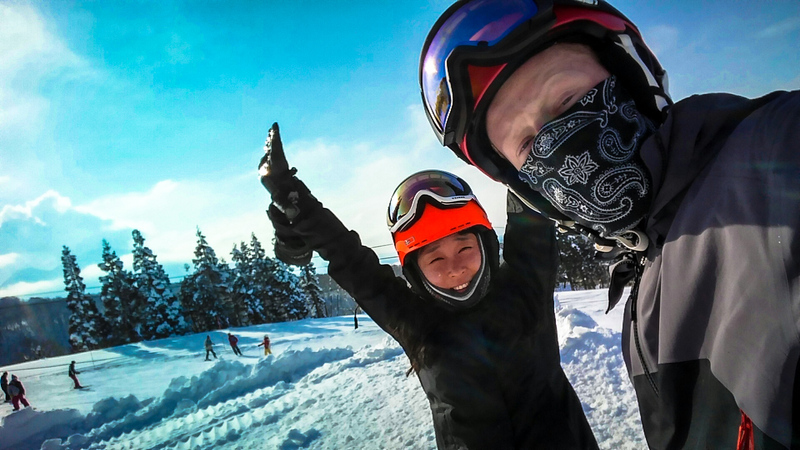 I came to Myoko Kogen after reading about it on powderhounds.com and arrived with no real “plan” other than to ski and learn some Japanese. Upon arrival, I went to the tourism office, and they kindly called a hotel for me. A young man from Hotel Moc came to pick me up. That was January 13th! In the three months since, I have transitioned from guest into part-time employee into extended family member. After about 2 weeks of living in the hotel, the couple that own it, Ken and Sachiko, asked me if I would like a part-time job. At first I wasn’t sure; after all, I’m on vacation, right? 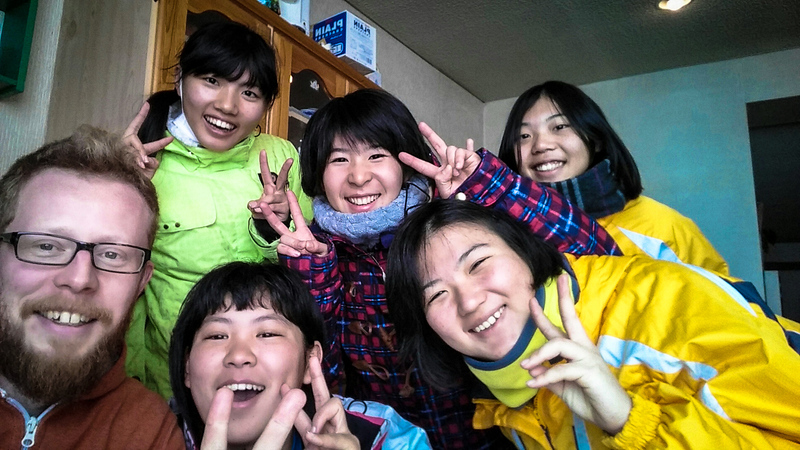 But Sachiko insisted the work would not be difficult, so I agreed. 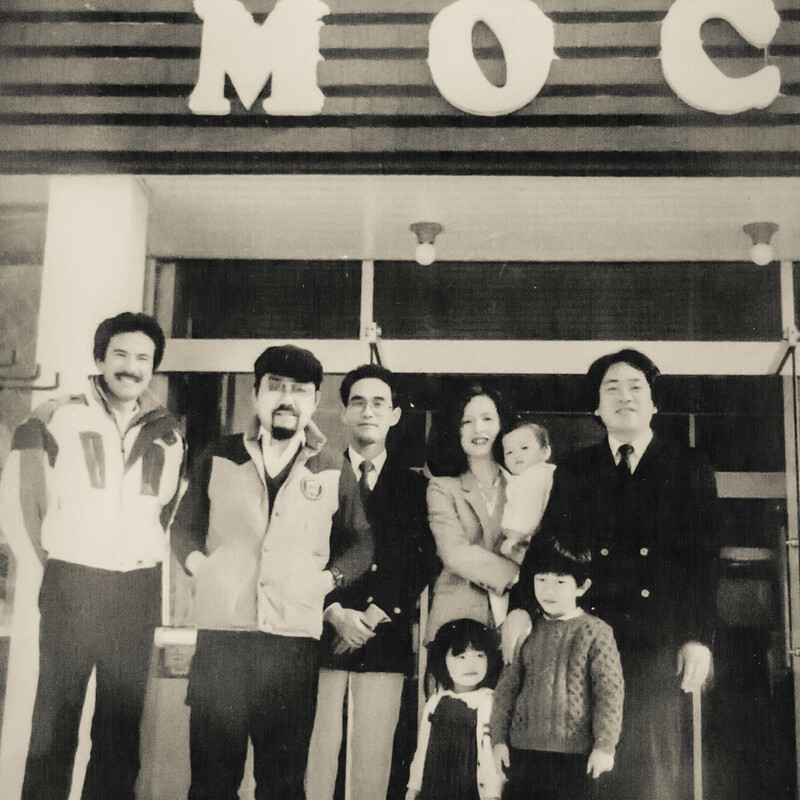 I would watch the front desk on weekends while Sachiko was busy in the restaurant, and every morning, we would spend an hour speaking in English and then in Japanese. In exchange for the work, I could stay in a worker’s room free-of-charge. 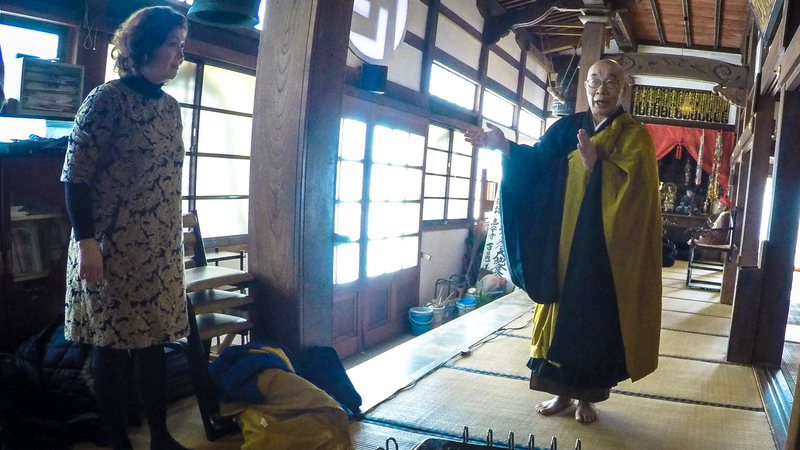 The room was very simple with a tatami floor with a futon for sleeping, a low table, and a kerosene heater. For me it was perfect! It was the most minimal setup, but I was grateful for a space to call my own. Also, she gave me a ski pass for the mountain — a sweet gig if there ever was one! 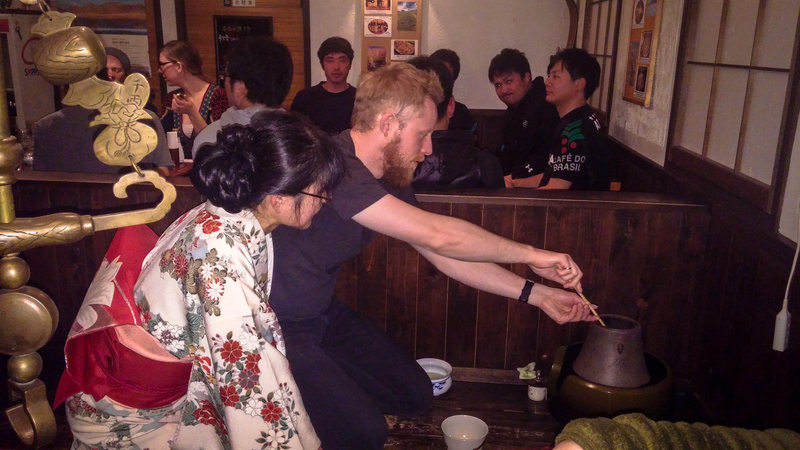 So that was my life for about 6 weeks: Japanese breakfast in the morning followed by Japanese/English language exchange, hit the slopes for a few hours, eat some ramen on the hill, ski some more, get cleaned up in the onsen, and then go to the local izakaya to have dinner and chat with the owners. A rough existence to say the least. 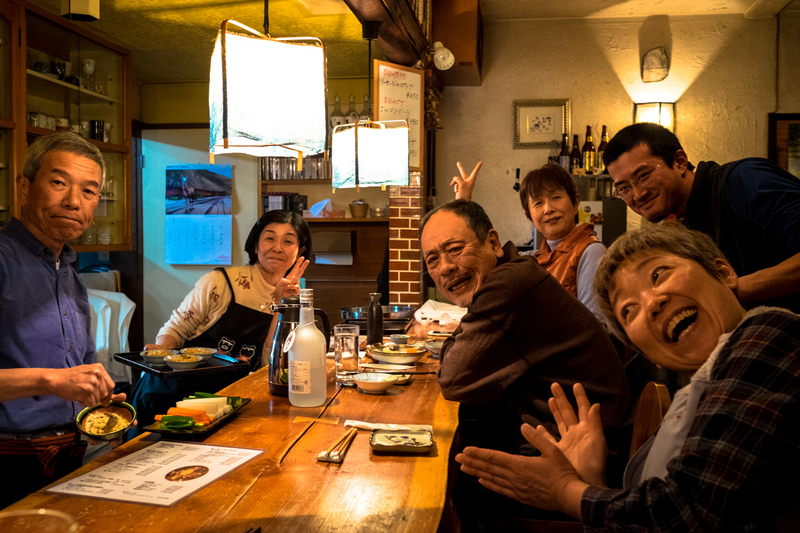 The izakaya, Pontaro Izakaya (ポン太郎居酒屋), is run by Pontaro and Yuka, and this is where I had dinner every night. After chatting with them nightly for a few weeks, I eventually asked them if they needed arbeito (part-time worker). Yuka was thrilled. She gave me an apron and headband and put me to work washing dishes. 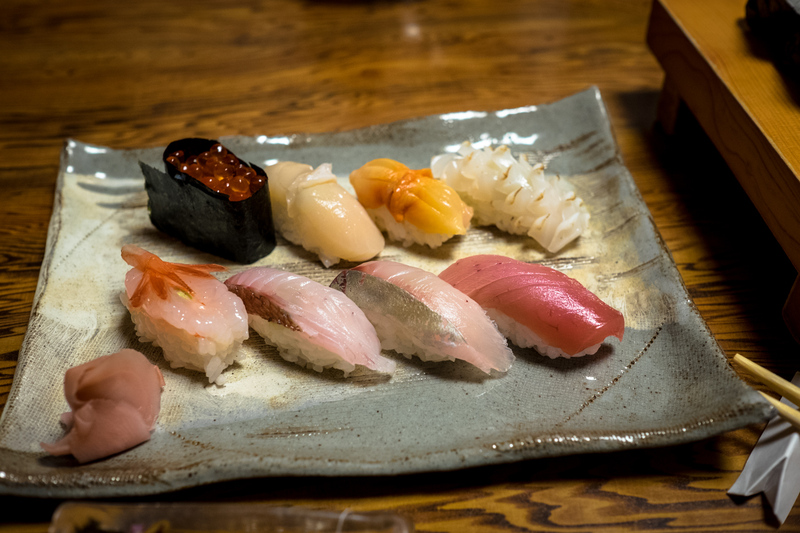 In exchange for my menial work, they provided me with beer, sake, and dinner. 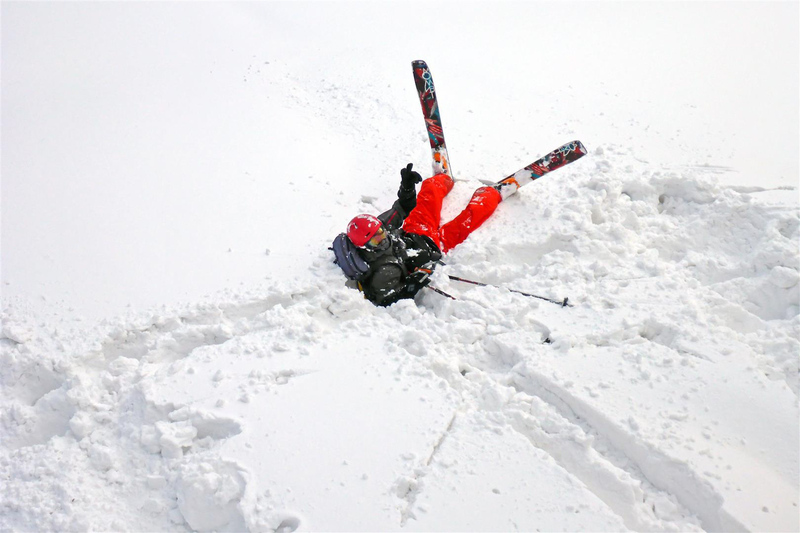 I have now entered ski-bum heaven — my only expense was a daily bowl of ramen for lunch which left me free to spend spend spend on new ski gear. During those first 6 weeks, I really became a part of the community here. 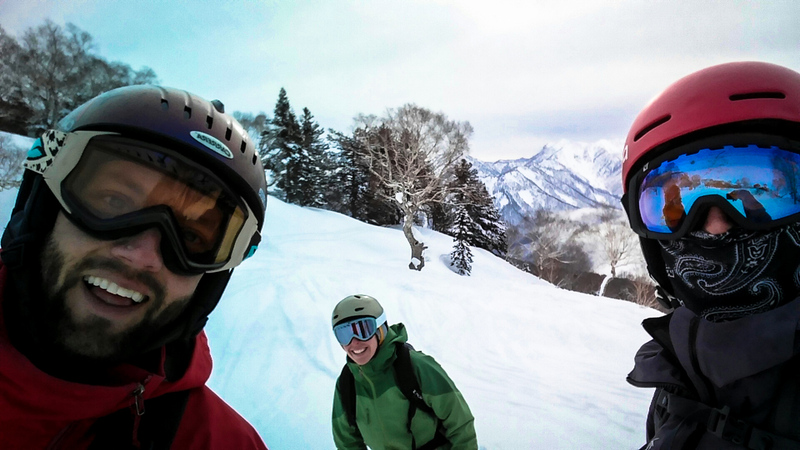 I made friends on the ski hill with a cute young couple from Niigata city, and I went to Niigata to visited them. 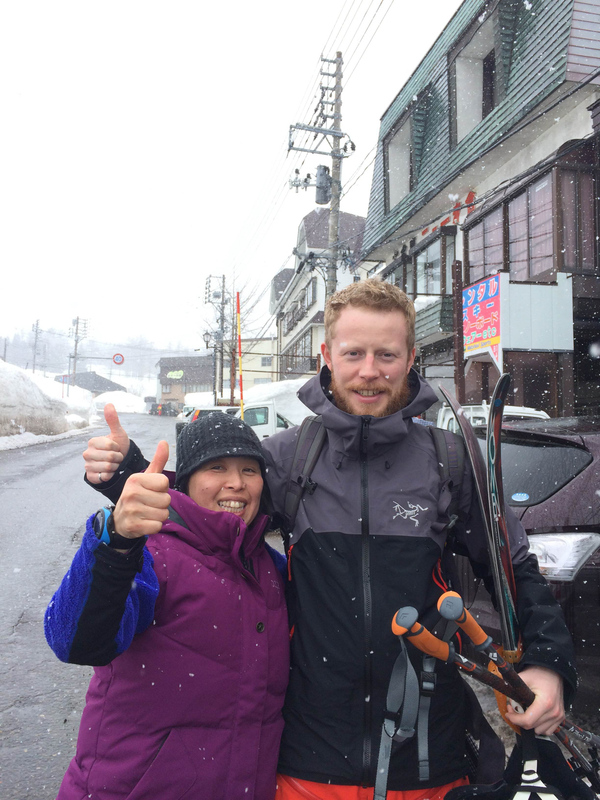 I chatted with whoever came to the izakaya, including Kao-chan, who kindly took me telemark skiing for the first time, pro-skiers with Moment (I bought Moment Exit World powder skis), Bill, who runs a backcountry touring company and kindly drove me to Nagano for my ski purchases, and lots of colourful locals and Japanese skiers from out of town. 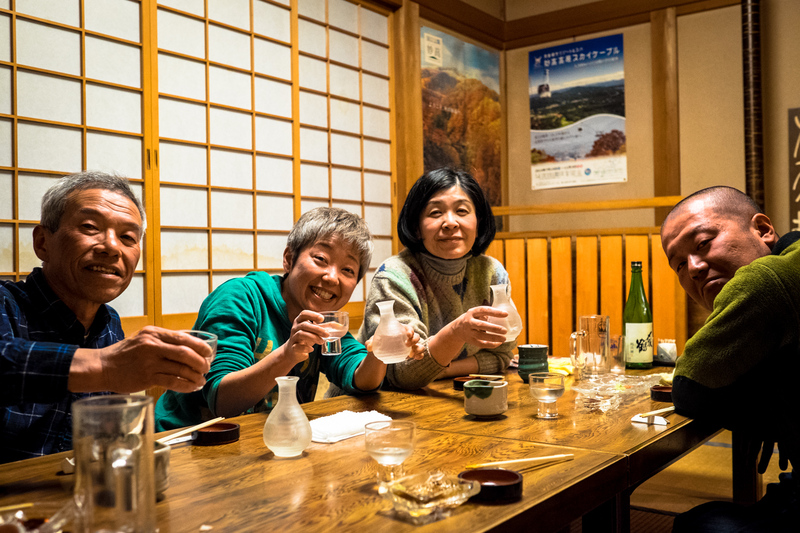 People I had never met before would come in to the izakaya and say they had heard of me — Yuka would tease me for being famous. でも、ゆうめいになりたくない (translation). In the last 6 weeks, my mom came from Canada to visit. She met my Japanese family here, and we did a snow hike, saw snow monkeys, and visited Tokyo, Kyoto, Takayama, Osaka, and Hiroshima. Hiroshima I totally fell in love with and visited again when Ross came to Japan a few weeks ago. I got to see my childhood friends, Reid and Erik, who live in Osaka, that I hadn’t seen in 15 years. 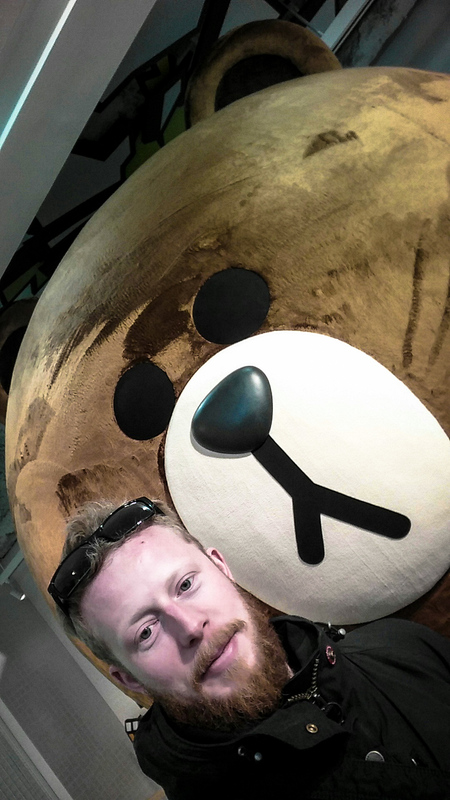 Touring around with Rossco was great. 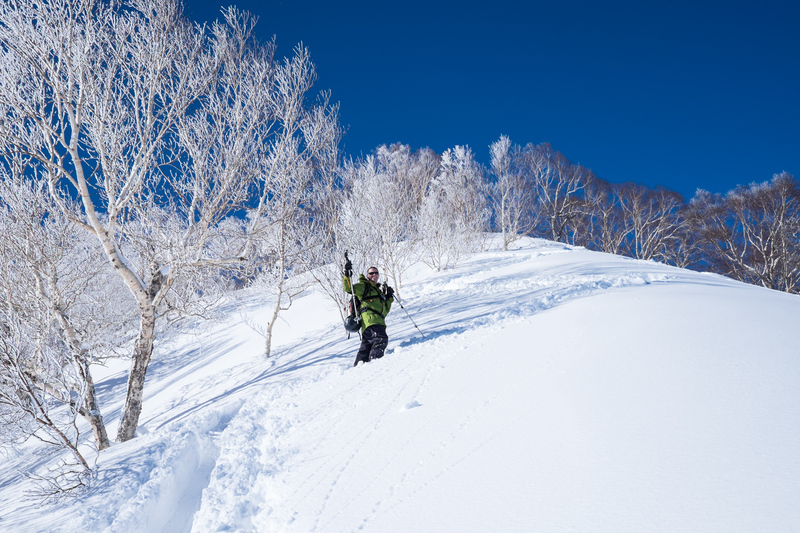 I got to enjoy the comfort and luxury of staying (on the floor) of the famous Park Hyatt Tokyo hotel and have my biggest day of backcountry skiing ever in Hakuba. It’s definitely bittersweet leaving Myoko Kogen, but I will come back next year. 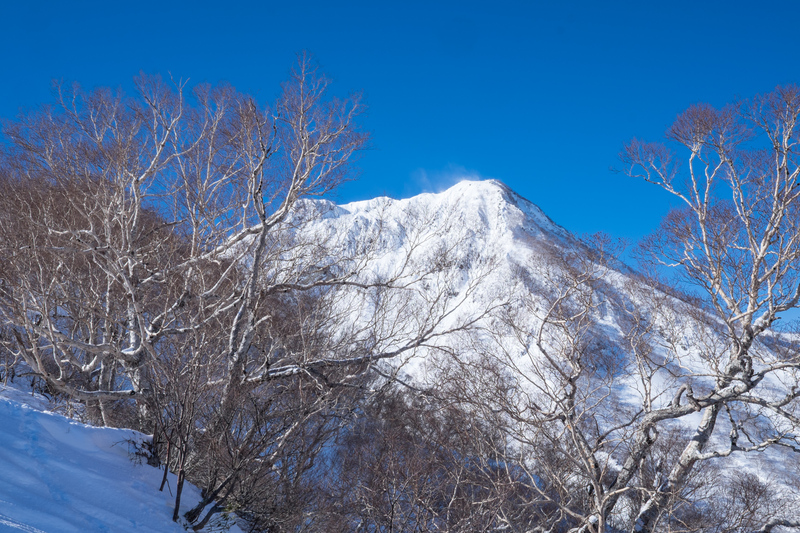 I just started backcountry skiing this year so I have yet to reach the summit of Mount Myoko. 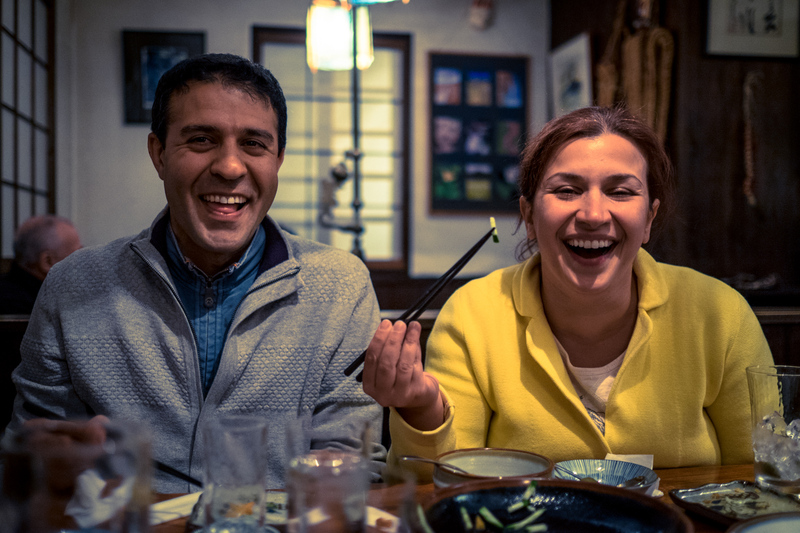 Tonight, we are going to make the party at Pontaro Izakaya, and tomorrow, I’ll go to Tokyo and spend a few days checking out the Tokyo Islands with Hiroko. Then it’s off to Korea for a few months. 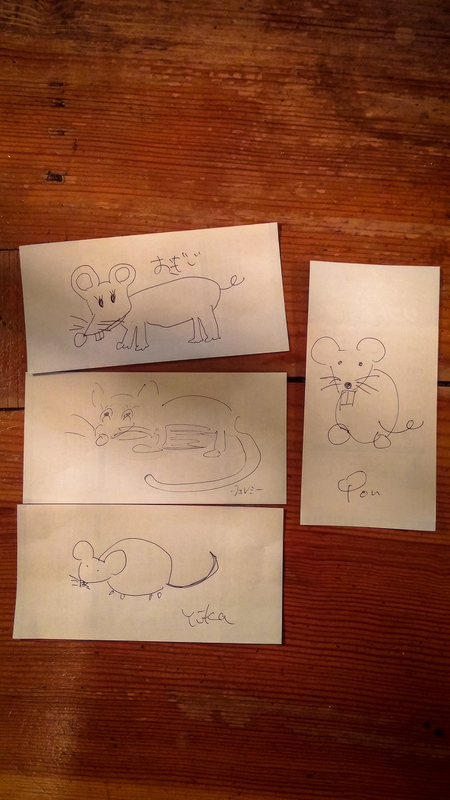 Much love to Sachiko, Ken, Yuka and Pontaro. Be back soon! Hanami is the Japanese word for a party under the cherry blossoms. Someone once told me that hanami is celebrating the cycle of life and the precarity of it since the blossoms, sakura, only last a couple weeks before falling to the ground. A foreigner told me this. Japanese, and my own experience from going to 4 hanami parties, tell me it’s just fun to drink under the beautiful blossoms. 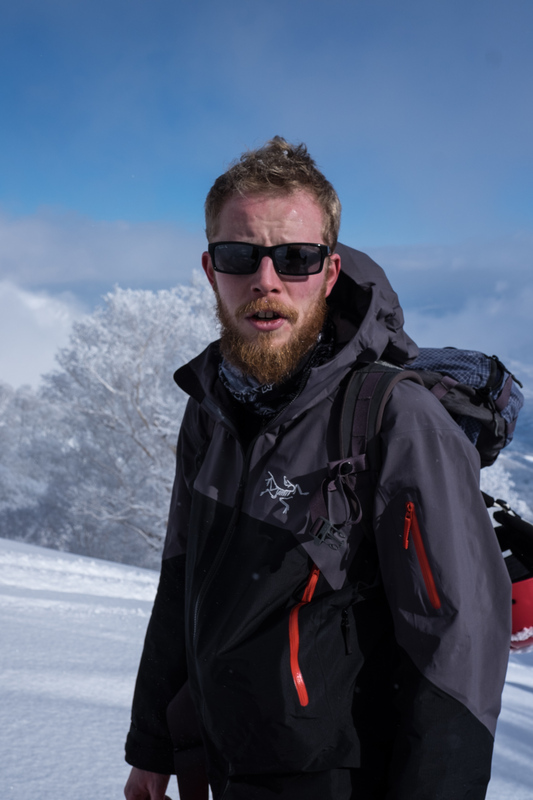 My good friend Ross came to Japan a couple weeks ago to visit a few cities and, mainly, to ski. I went to go meet him in Tokyo and while we were checking out the shrine at Meijijingu we happened upon a huge hanami at Yoyogi park. The whole park was in blossom and there were families everywhere sitting on blue tarps, drinking wine and sake, taking photos and playing music from portable stereos. 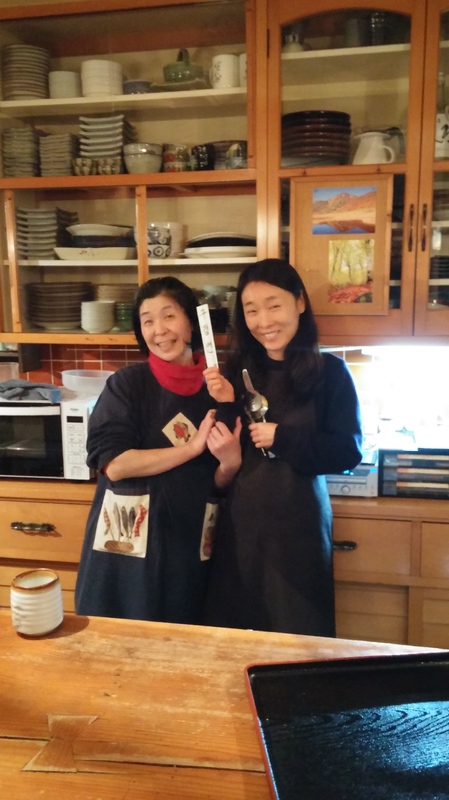 We did the same thing again the following week near Ueno in Tokyo with my friend Hiroko. It was great fun. We met a bunch of new people and ended up at a small house party afterwards. 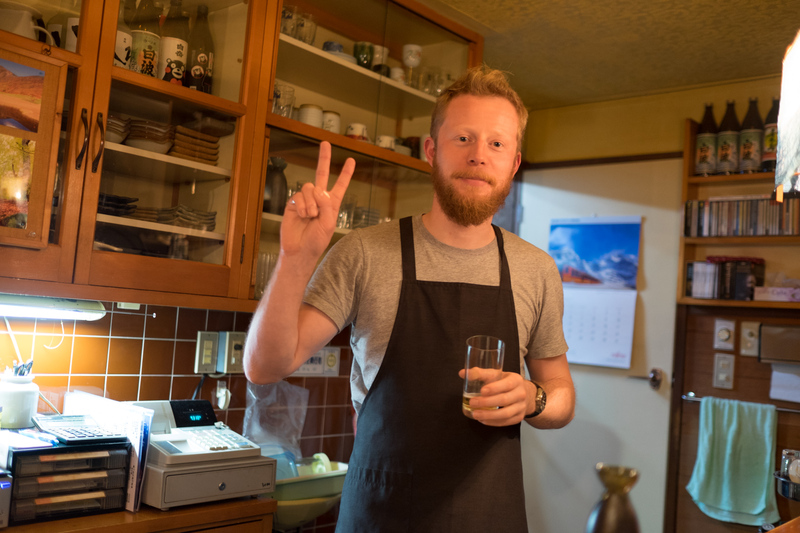 The next week in Hiroshima we went to Koba rock bar and the owner, Bom, invited us to his hanami party the next day. 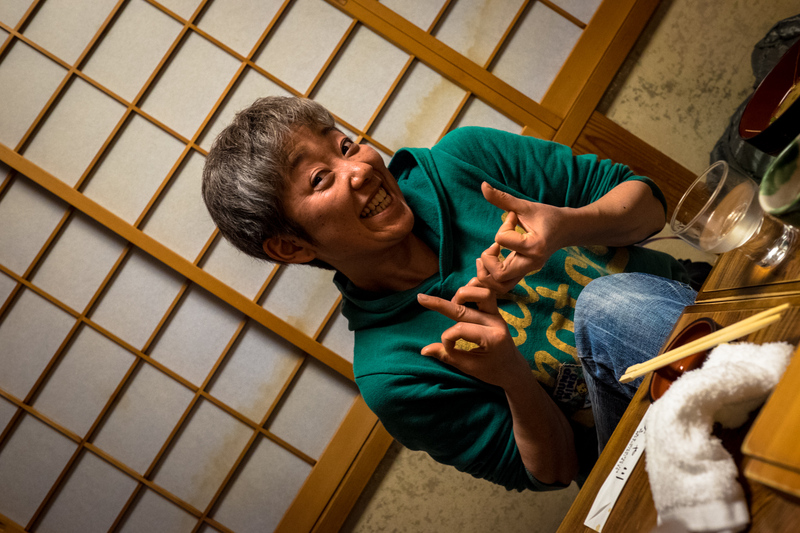 This was the hardest partying hanami of the three we had been to. It took place right along one of the beautiful canals only a few hundred metres from where the atomic bomb was dropped. My 4th hanami of the season was at Takada castle. Japanese castles usually involve a large square moat with a high rock wall and the castle is really more of a multi-story wooden house than a stone European-style castle. The huge grounds of the castle had 4000 cherry trees in a beautiful white blossom and many of them were lit up with pink or purple lights. It was a really stunning sight and ripe for photo taking. Apparently the rest of Niigata prefecture thinks so too as it was overwhelmingly busy. 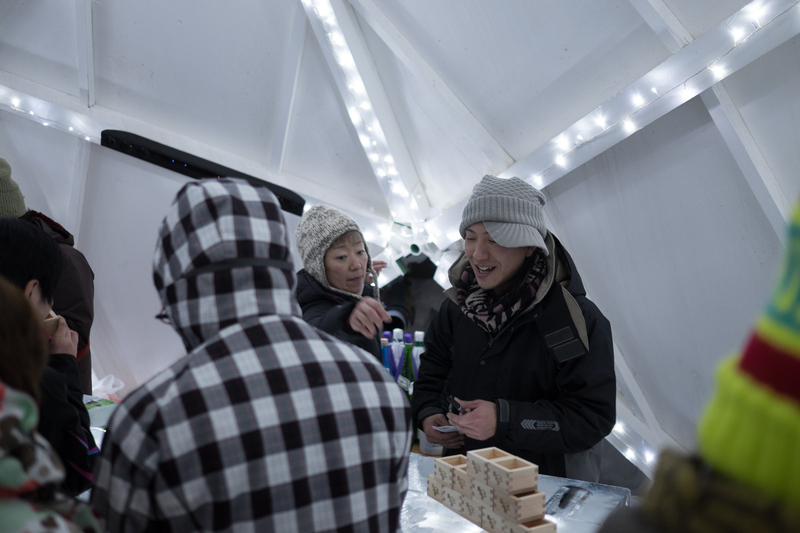 The main difference between this and the other hanami I had seen was 200 or so vendors of food and alcohol and cake-on-a-stick, which had a line of about 50 people. Sadly I never got my cake-on-a-stick and had to settle for meat-on-a-stick.